Phineas and Ferb is one of those great kids shows that can really be enjoyed by viewers of any age. 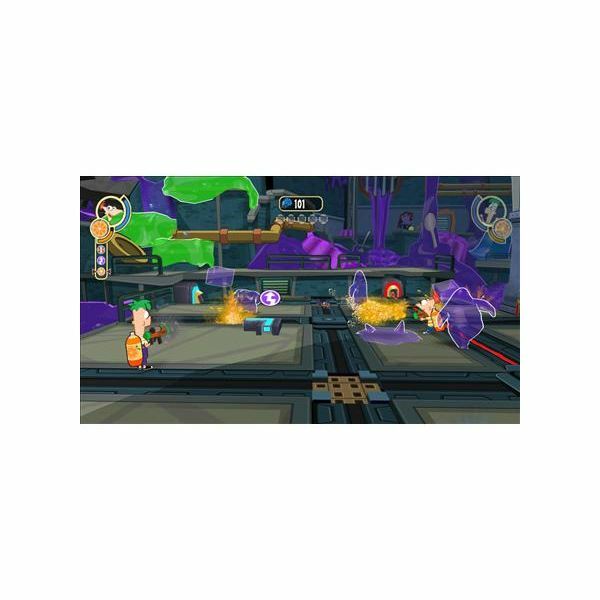 The latest video game version of the cartoon, Phineas and Ferb Across the 2nd Dimension, is shaping up to have the same type of appeal for gamers of all ages. There are eleven non-secret trophies that can be unlocked as you progress through the game. These accomplishments cover things that run the course of the game, like upgrading gadgets, collecting figures, and unlocking characters. Lifetime Accomplishment Award: Collect every trophy in the game (Platinum Trophy). Figure Madman: Collect All Figures in the game. Version 2.0: Install half of the available upgrade chips. Modtacular: Collect all the available mod chips. I'm A-Levelin' Mah Gadgets! : Use each and every gadget enough to reach maximum level. Chiptastic: Collect every upgrade, effect, and mod chip in the game. Weekend at the Arcade: Earn 2000 tickets. Ticket Stockpiler: Have 500 tickets at once. First Gadget: Collect all the parts to construct your first gadget. Gelatin Freedom-Fighter: Complete all the gelatin dimension levels. Up, Up and Away…: Beat all the balloon dimension levels. That Old Timey Life: Finish all the old timey dimension levels. Gnome Toppler: Complete all the levels in the gnome dimension. Robot Rioter: Complete all the robot factory levels. Evil Vanquisher: Beat every level in the game. Hidden in each level is a series of five gold tokens. Collecting these coins allows you to play in the arcade, giving you a chance to earn tickets and unlock special weapon modifications and figures. Each dimension has its own specific gold token trophy. Gelatin Gold: Find and collect all of the gold tokens in the gelatin dimension. Balloon Gold: Find and collect all of the gold tokens in the balloon dimension. There's Gold in Them Thar Hills: Find and collect all of the gold tokens in the old timey dimension. Fantasy Gold: Find and collect all of the gold tokens in the gnome dimension. Robotic Gold: Find and collect all of the gold tokens in the robot factory. Evil Doof's Gold: Find and collect all of the gold tokens assaulting Evil Doof's HQ. Dimensional Gold Claim: Find and collect all of the gold tokens across all the dimensions. The final set of trophies are earned by completing feats of skill as you progress through the game. Rush to the Sewers: Get from the treehouse into the sewers as rapidly as possible. Gelatin Revolution: Defeat the Giant Gelatin Monster in less than three minutes. Just Bouncy: Climb all the way up the gelatin mountain without bouncing more than once on the same bouncy gelatin pad. Barging Through: Make it through the entire balloon barge without falling once. Agh, Bees! : Make it through the bee path in less than 38 seconds. Old Timey Winds: Make it all the way across the windy canyon without falling down once. Platform Walker: At the very beginning of the gnome dimension, avoid touching solid ground when you stay on the moving platforms for at least 60 seconds. What the Boulder's Cooking: Defeat 3 enemies with falling boulders. Charging Goozim: Make the Goozim charge into all the wreckage of the gnome village. Cruising through Crushers: Avoid all the crushers and make it through without getting hit. Cruiser Destroyer: Shoot down all the cruisers, letting none escape. Quick and Timely Champion: During the giant robot fight, don’t miss a single button prompt. Padfoot: Avoid tripping any turret shots by stepping on the laser sensors. Commander Counselor: Defeat three Dooftron Commanders in the level with the giant buildings. Laser Tracer: Show off your evasion skills and avoid 4 quad-laser attacks in a row. Grand Slam: Defeat the Doof-Robot using only the Baseball Launcher. 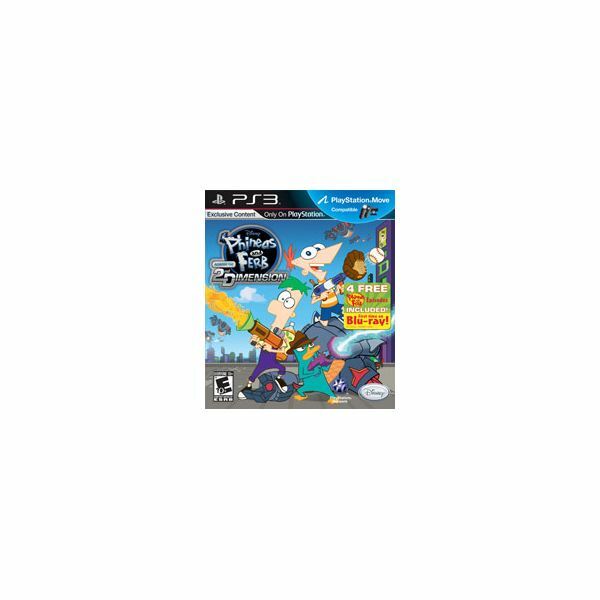 Whether you’re enjoying Phineas and Ferb: Across the 2nd Dimension with your kids or playing it on your own, it’s a very enjoyable experience. Take the time to earn some of these trophies along the way and earn some bragging rights among the rest of your family. Just don't let Candace bust you along the way. Hopefully, your trophies won't disappear at the end of the game. A collection of articles about Phineas and Ferb.